Hungary is, in many ways, the archetypal central European country. It has great plains that sweep endlessly into the distance, majestic rivers that wind through great gorges, pretty villages and historic cities. The most historic of them all is the capital, Budapest. It has had a complicated history, but is now a thoroughly modern capital city, bustling with life all year round. Modern, but, at the same time, proud of its heritage. This can be seen on either bank of the Danube in the magnificent palaces and buildings that line the cobbled streets. If you’ve got family or friends here, you’ll know that celebrating those special days with them is important. At FloraQueen, we understand that too; that’s why we have such a great range of ideas for the next time you want to send gifts to Hungary. A whole world of choice is just a click away, making sending gifts to Hungary easier than ever. When you’re standing far from the nearest settlement in the middle of the Aföld, or great Hungarian plain, and all you can see is a seemingly endless steppe, it’s hard to imagine you’re right at the heart of Europe. But it’s true, and the Aföld is one of Hungary’s greatest sights, and the reason why horses have played such an important role in the country’s history. For a more urban view of Hungary, there’s nowhere better than its capital, Budapest. Now vibrant all year-round, the capital has a lot to offer the visitor, with fine restaurants, lovely little cafes and trendy boutiques. Not to mention the world-famous bath-houses, where chess is played amid the steam that rises from the spa waters. 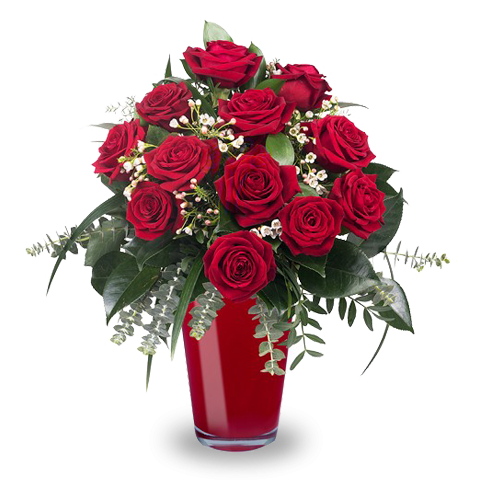 FloraQueen makes it easy to send gift baskets to Hungary and celebrate those special days. And, at Christmas, how about sending holiday gifts to Hungary? There’s a whole range of seasonal ideas at FloraQueen.